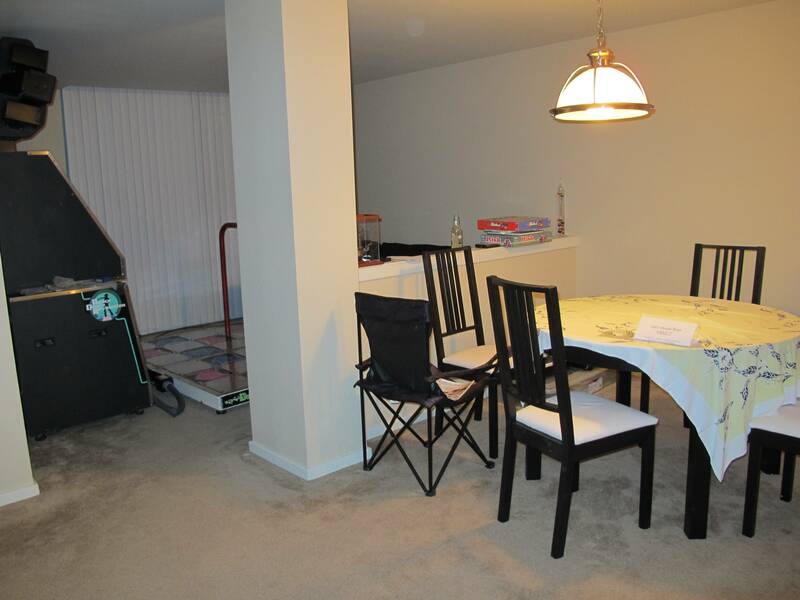 Help me move my DDR machine into my apartment... And then play it? I think I'm going to pick up my DDR machine early next week. My friend has a pick-up truck he offered to drive and help me out, but I'll need some help actually carrying the machine. I was thinking maybe I could drive behind him in my car with a few people, we could load it, drive back, then unload and get it into my living room. Is anyone down? FWIW I live on the first floor and there's a garage that opens right to that floor that I have permission to use for this. So no stairs, no elevators. It's just a matter of loading, unloading, and moving it down the hallway. Let me know if anyone's down. My best day is Tuesday. As I mentioned previously, I'm totally down for this. As long as it's after Tony's done with work, I volunteer him too. I'm still down, though I'll be working Tuesday. Do you know around what time you'll be wanting to pull this off? I think I'm planning on leaving SLU around 5:30 PM. Does that sound reasonable? Unfortunately I'm starting at 3pm on this Tuesday and stuck until later in the night. Just about any other day this week after Tues would work for me around that time. Jesus this is impossible. I'm really about to fork over the $600. I'm busy every day except Tuesdays. Go to Home Depot and enlist some of the local handymen in the parking lot to help. It'll be a lot cheaper than $600. We are going to make sure she does NOT fork over 600.00! It's looking now like I might just need some help Thursday after work moving it into my room. Waiting on confirmation before I cancel Tuesday's plans. Anyone willing to help Thursday if that goes through? If you end up switching to Thursday, yeah. Thursday it is! I'm not sure exactly when I'll need help. My guess is sometime between 6:30 and 7:30? I might also want to do a little soundproofing, not sure if anyone has experience with that. FWIW I'm boring on Thursday nights (I get up early to run on Fridays) so I can't have company over past 10 or 10:30. But you are more than welcome to test it out and stuff once it's in, at least a little, and if we have time maybe we can get cheap food or beer, my treat (within reason). Alrighty. If you could PM or post the address to meet at, I'll make it at that time. We can also help on Thursday. Just let us know what time. I'm going to write up an official guideline at some point on what to do if you don't know me but want to come play. I need to figure out what hours work for my neighbors and roommate and possibly do some soundproofing. Also need to fix up the left side a bit first. But it's here! And awesome!